My 2018 S63 wheel in Dynamica (microsuede and leather) is now for sale. What is a fair price to sell this for though? Perfect condition from my 10113 mile car. I ended up preferring an all leather wheel. Looks nice! 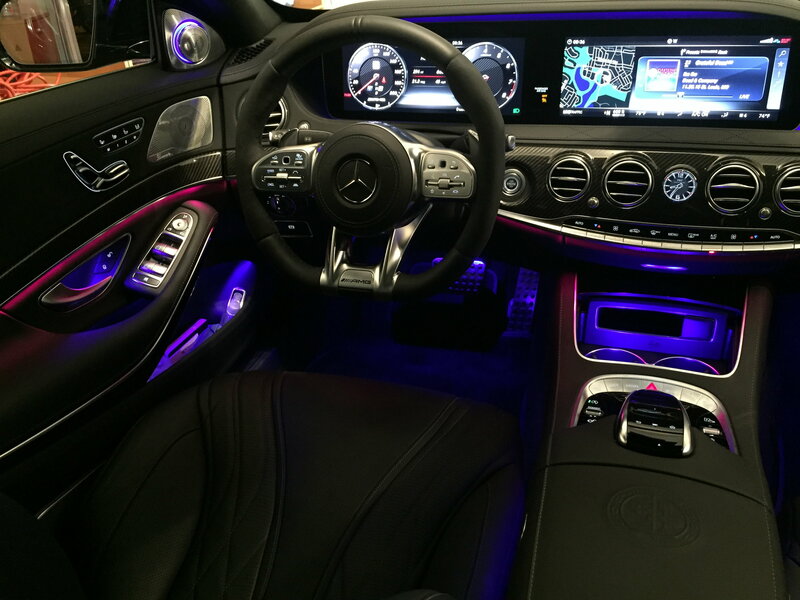 I like it better than microsuede steering wheel. Where did you source the wheel from? You finally did it Steve. 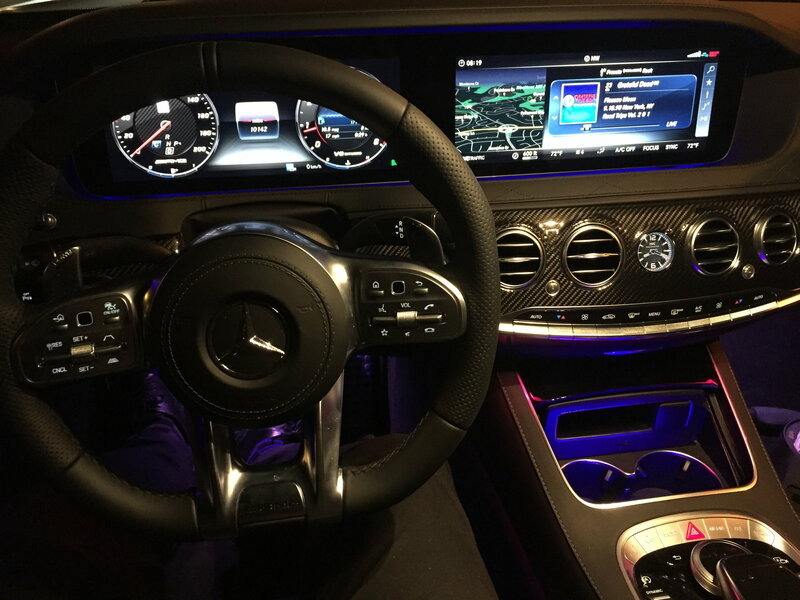 Remembered when you first got the S63 and wanted to switch out the Alcantara wheel. Congrats. No clue on price, the problem is that this is a very specific part with little to no demand. I would think a grand or so. Thanks, all! I guess I'll put it on Ebay then when I'm not feeling so lazy, and see what happens. It's worthless to me now for sure since I have the new wheel. LOVE the new wheels. Well, I put it on Ebay at $1100, no takers. $1000, no takers, $890, no takers. $790 nada, $690 - just crickets, no takers. Nary an inquiry, nothing. I guess this wheel is going to take a LONG TIME to sell! I can use it as a boat anchor I guess if it never sells. Leave it Bin or best offer and see what offers you get. If it includes the airbag I would assume it is worth something. Otherwise it is probably going to take a while to find someone who would want it. If it worked on my 2015 I would buy it in a second as I hate the steering wheel on my car. You can leave the price higher let it sit on EBay. There is no rush on your end and when someone really wants it, they will buy it. One of those items that will be worth more other time as it can only be installed on MY18 and up. Not it too many cars around that get modded at the moment. That said, I consider your old steering wheel a step up from the all leather one, but it’s all just a question of preference. 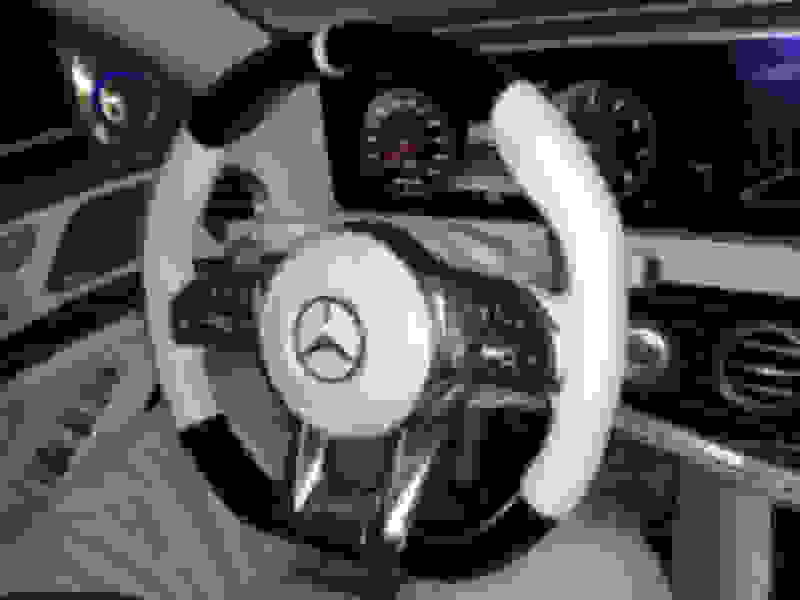 There’s was another forum member just a few posts down that was looking for a MY18 AMG steering wheel. Thx guys, you're right. I'm in no hurry I guess. I'll just leave it on there at $690 forever and see if it sells! personally I like the full leather too. Reminds me of years ago the m3 and 330mtec came w an alcantera wheel. bmw replaced alot of them under warty due to deterioration and replaced them w the full leather wheel. I personally like wood/leathers steering wheels the best. Leather is fine too but Alcantara/Dynamica (Microfiber) is the standard in motorsport because it provides a better grip. We have a full Dynamica one coupled with black metal (night edition). Not as pretty but practical. You can simply wash the thing; something that can’t be done with leather. I hate greased-up steering wheels which dealers would like to refer to as a patina. I Love my piano blk,leather wheel in the s. def feels fine.. i understand about the grip, just feels funny to me. I think Dynamica makes little sense in a S-class, even an AMG. It is sporty but primarily a luxury sedan. They are now having carbon fiber/ leather ones which are nice but just slippery as wood. Here is a photo of my wood/leather steering wheel the day of European Delivery in Stuttgart. 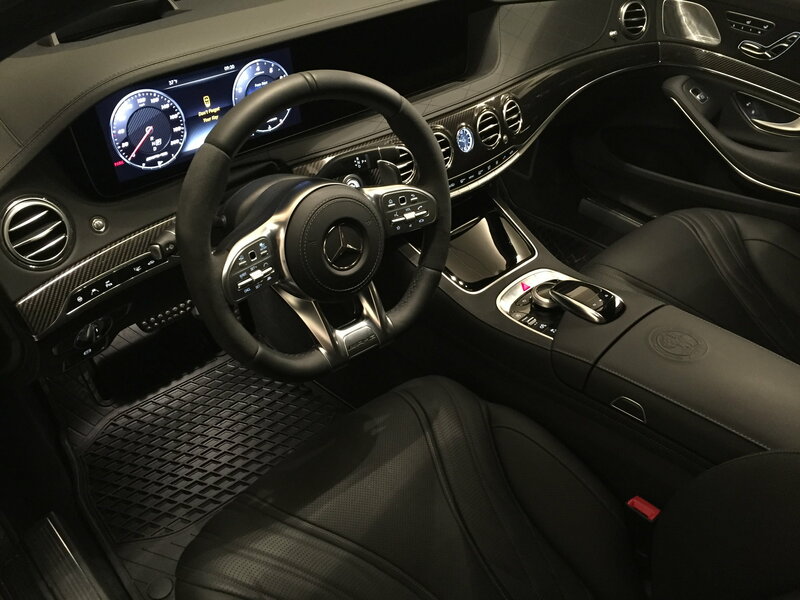 I do like the wood/leather AMG wheel. Looks great! How is the leather holding up in terms of dirt? Our old S-Class one was light gray leather/wood and stayed clean surprisingly well. With just over 3,000 miles on the ‘19 S63, the beige wood/leather steering wheel is holding up very well with respect to dirt. 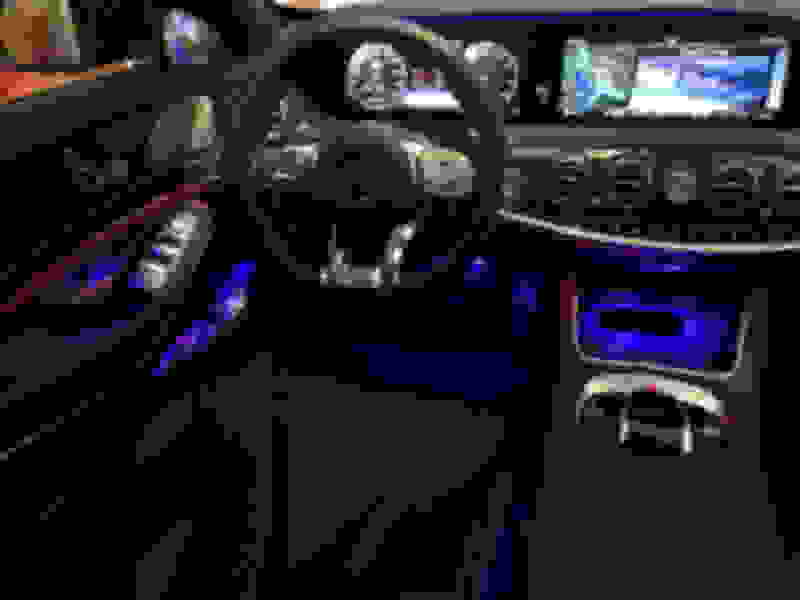 I have owned the same interior color and steering wheel leather/wood combination on every S Class I have owned going back to my 2001 S500. I love the light beige color but I am also a clean freak so it works with my personality. Quick Reply: Replaced my 2018 S63 microsuede steering whl for leather one so selling mine now.